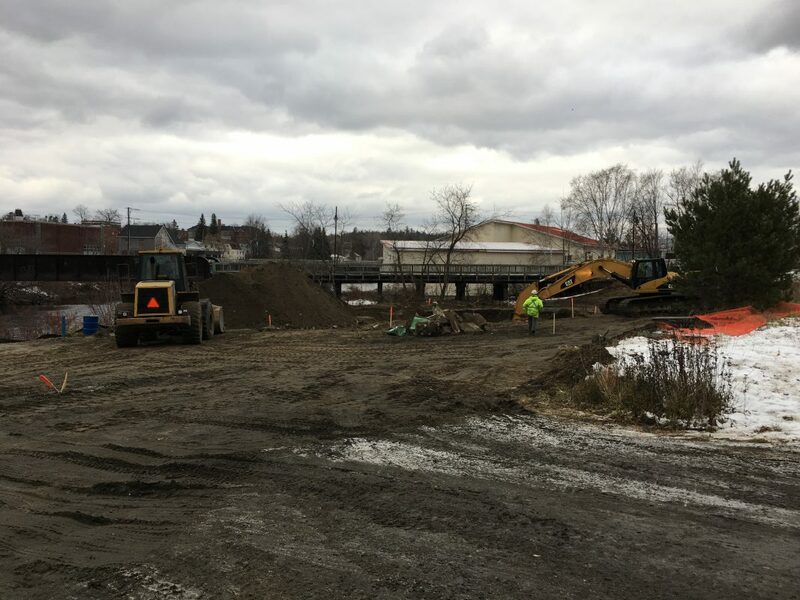 The folks of Trestle Brewery have finally put a shovel into the ground and started the necessary remediation for their brewery/restaurant build. Nothing like a little bit of public poking, as I did in my council preview post on Sunday, to get them moving. Actually I think they missed a great opportunity to get started a little bit earlier and save a ‘hole’ lot of money. Some of you may have seen the article about ten days ago where Cards Against Humanity marked Black Friday by digging a hole for no apparent reason except perhaps to throw money into. They then proceeded to fill it back up. That’s exactly what the Trestle Brewery folks are doing, but apparently on their own nickel. The folks at Cards Against Humanity managed to get donations of over USD 100,000 to fund their project. Imagine if that hole could have been on the banks of the Seguin River. Dig ‘er up, then fill ‘er in. A perfect win-win. The funding, the publicity! Guys, you missed it. Speaking to the principals at Trestle I understand they are planning to be up and brewing, and serving, this summer. Are there plans for cider? I’m not a beer drinker. Perhaps the governor can take solace in the fact that it’s all happening on the other side of the river. His Parry Sound remains ‘pure’, except of course for the LCBO, Brewers Retail and the bars.